See It, Snap It, Scrap It! : Sea World Fun! Yesterday Curt and I went with Betsy (my sweet sister-in-law) to Sea World. I don't think we had been back there for over five years! When Sea World first opened in San Antonio we got season passes from Curt's mom and that started us off for years of getting our own season passes. What fun we had going there with Matt & Bryan. It is still such a beautiful (and so clean) theme park. Anyway, we went yesterday to see Jack Hanna! We first saw the sea lion show ... too cute ... then went on to see Jack Hanna's show. I tell you this guy seems ageless. Everytime I see him he looks the same, if not younger! How does he do that? The animals he brought with him were just so interesting and, of course, cute. 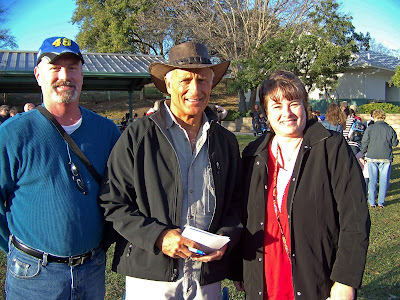 After the show we were excited to have dinner with Jack Hanna! The food left alot to be desired, but we were there to see the animals and meet Jack so all is well. They brought out most of the animals for us to "meet" and told us a little bit about each one. My favorite was Finny (or Finnie) the small fox. His handler told us how he didn't have a right arm so he was not released back into the wild. He actually lives with the handler and travels to all these shows with him. While normally Finny eats lizards and black scorpions (ugh) his favorite meal now is cooked broccoli. Here is a picture of me with Finny. Isn't he just adorable! We also saw this beautiful owl who could not be released back in to the wild because he was blind in one eye. They were called in to pick him up in a state park in Florida because he was swooping down and eating children's lunches. Another real cutie was the kangaroo who was in the "man made" pouch. He has about 5 more weeks in the pouch then he will be out on his own. 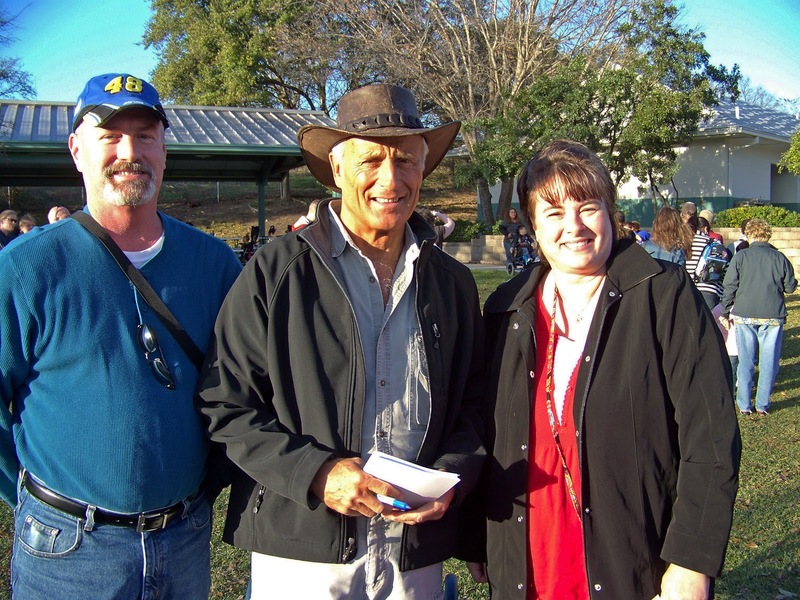 Last, but not least, is our picture with Jack Hanna himself. He seems to be such a nice and gracious person. His hand must have been killing him by the end of the evening from signing all those pictures of himself. So that was our special day at Sea World and we couldn't have had better weather as you can see in the pictures. Now I've got to get some kits to scrap Sea World! Thanks for dropping by and I hope your weekend was just as wonderful. What fun, Cheryl! You're pictures are great. Jack Hannah is one of those "living legends". Big Reveal This Friday at Mouse Scrappers!!! !